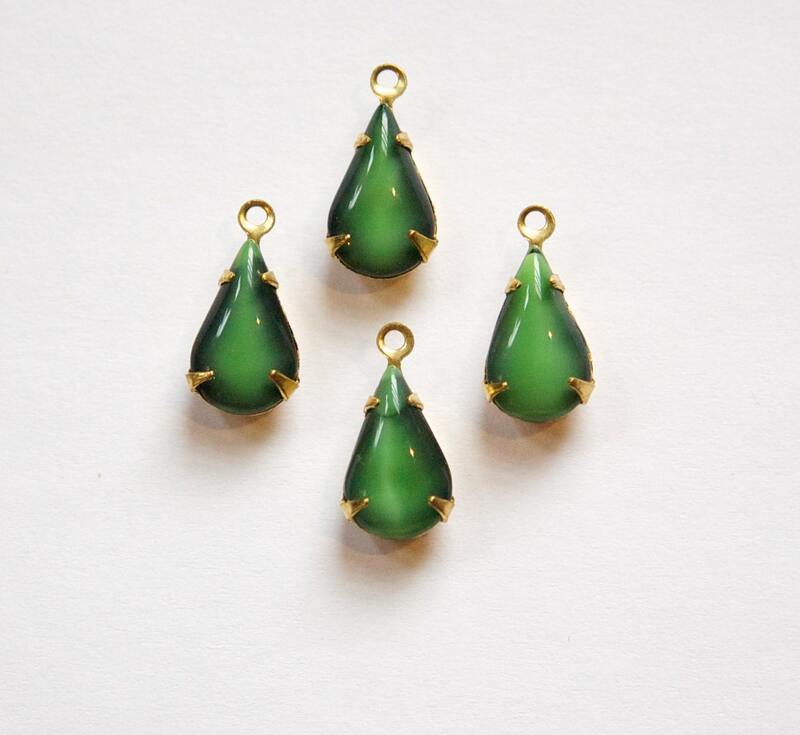 These are vintage opaque 2 tone green glass stones set in a one loop brass setting. The stones measure 13mm X 8mm. You will receive 4 of these. Beautiful two tone green stones. Super fast shipping. Smooth deal, fast delivery, thx ! really beauiful and love it. thank you very much for kindness as usual!